Join us for a practice of breathing and conscious relaxation, also known as yogic sleep. Relaxation is a skill that, once learned, can benefit us in all aspects of life. Learn to breathe in ways that calm the body and mind in order to prepare for deep, healing relaxation with an emphasis on restoring the physical, mental, and energetic bodies and creating space for creativity. 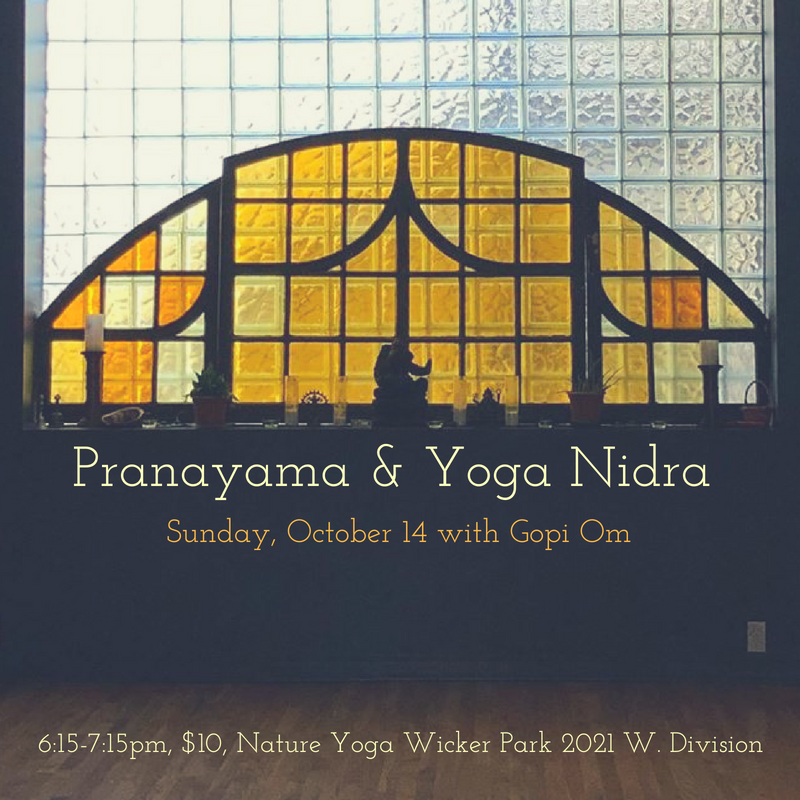 This practice will be done seated for pranayama and laying down for the yoga nidra.